Can you believe August is just around the corner? It seems like summer only began a few weeks ago. The kids were out of school late this year and the weather in June was chilly. July has gone by so quickly – too quickly in fact. When I think of August, I immediately think back to my childhood. August meant the State Fair was here and the State Fair meant that school would soon start again. That made August a sad time as a child. In a few days All American Window & Door Co. will start its 29th year in business. The memories are so fresh, it seems like yesterday. We started with $1000 in the bank, files on the kitchen table, drive and tenacity in our determination, and fear in our hearts! We founded All American Window on the values of excellence, honesty, integrity, and quality. We wanted to build something that would continue for a very long time. We didn’t realize it then, but this would become our career, our life and our passion. 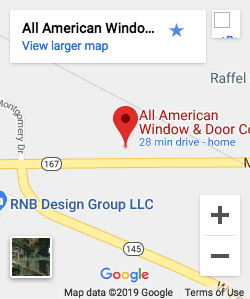 Our children “grew up” with All American Window and All American Window “grew up” with our children. We have so many memories of them together. Both learned to walk, run and mature together. All American Window was like another child to us. We gave it our hearts! Businesses mature and grow just like children. Each takes nurturing, correction, time and patience. Each needs you in a different way every day. Each brings joys and sorrows, rewards and satisfaction. We have learned so much through the years raising our children and our business and have been so blessed. We recognized at the start that an ethical business starts with ethical leadership. As the leaders, we determined to be ethical and set the standards for which our business would grow. Ethical work practices are easy when you hire the right people for the job. We’ve created a dynamic culture and we embrace sound business practices. We now have twenty-eight years of experience in business – not twenty-eight one-year experiences in business – and every day we are a winner! Every team member is trained and expected to be a leader. Team members can tell you where we are, where we are going, and how we are going to get there. We have won numerous awards through the years and have been honored in some very special ways. In 2005 we were Germantown’s Business of the Year and received local and state recognition. In 2009 we won the Wisconsin Better Business Bureau Torch Award for Ethics and Integrity. The best satisfaction is when our customers are happy with their projects and would recommend us to their friends, family and neighbors. It has been our privilege to care for tens of thousands of homes and even the second and third generations of customer’s families. You can’t go far without seeing a job sign in your neighborhood – a sure sign of customer satisfaction. What else does the State Fair mean to me? Now the State Fair means the start of the fall home improvement season! Many people that waited during the spring and summer are anxious to get new windows, doors or siding done before the winter snow comes. If you are one of them, get started now and be ahead of the crowd. Happy August, Happy State Fair, and Happy rest of the summer! !